The boy-band formula is as reliable as the quadratic equation: three to five cute young guys singing simple pop songs about love equals swooning fans. Variations on the formula involve the presence or absence of dancing ('N Sync used choreography; One Direction, not so much) and live instruments (the Backstreet Boys just sang; onstage at least two of the Jonas Brothers usually played guitars). 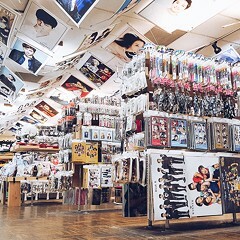 Because boy bands have already enraptured generations of adolescents exploring their feelings, they're ripe for the nostalgia treatment, evoking the days of music videos on MTV and fold-out posters in teen magazines. Chicago's Boy Band Review have arisen to meet that demand, paying tribute to groups that were around from the 80s to the mid-00s. Their repertoire includes New Kids on the Block, Backstreet Boys, 'N Sync, One Direction, and Nick Jonas. 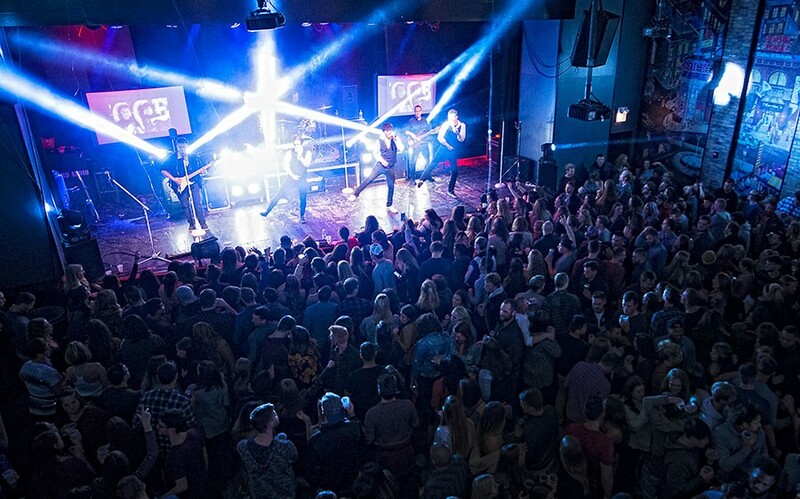 "It's a great spirit to connect with everybody where at some point in their life, a boy-band lyric or song touched their hearts, and they're reliving it when we're performing," says Boy Band Review guitarist and cofounder Brian Bender. He's the self-proclaimed Joey Fatone of of the group, and he says he's been 28 years old for ten years. 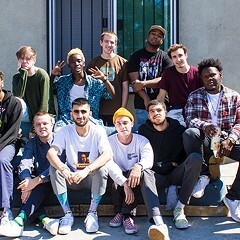 The lineup of Boy Band Review has changed slightly since this November 2018 show at Durty Nellie's. The origins of Boy Band Review go back about seven years, to when Bender was in a 90s-themed cover band called (in a nod to the Beastie Boys' final album) the Hot Sauce Committee. 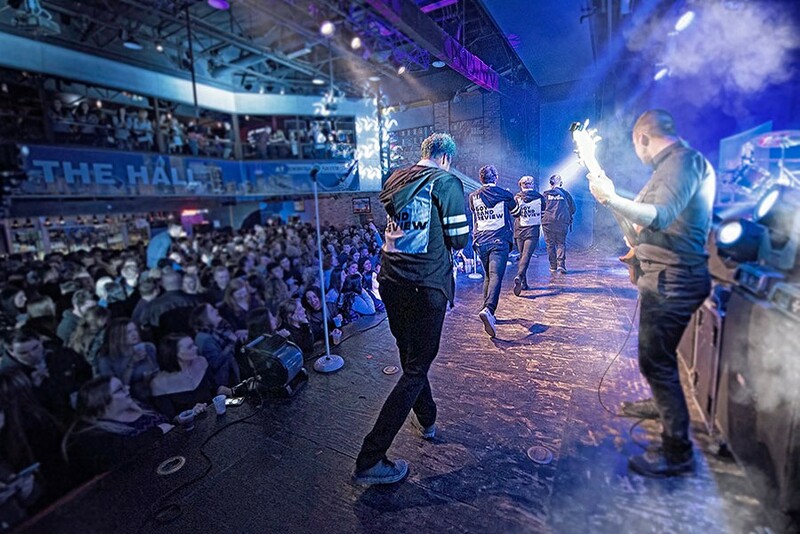 Amid songs by the likes of Dr. Dre and Sublime, the group began performing a 15-minute medley of boy-band hits, and Bender says it got as big a reaction as any other part of their show. In November 2014, the Hot Sauce Committee put together a concert of nothing but boy-band songs, calling it "Boy Band Night: An Evening With the Hot Sauce Committee," and it got so much hype that Bender had an "aha" moment—that is, he realized he was onto something. "No one else was doing a boy-band tribute," he says. "It was kinda like this magic." Thus Boy Band Review were born. They played shows as "The Hot Sauce Committee presents Boy Band Review" for a couple years, but after a sold-out show with Michael Jackson tribute act MJ Live at the Rosemont Theatre in January 2016, Boy Band Review became a full-time gig, and ever since they've been morphing into what they are now. 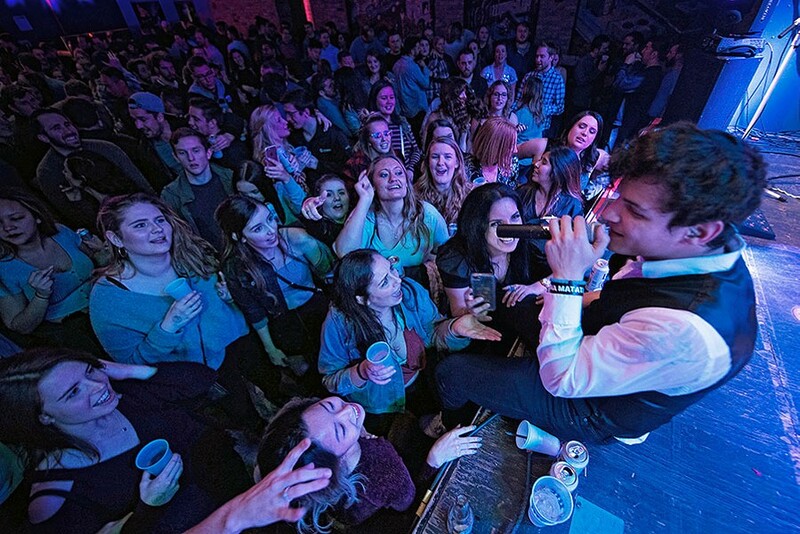 They play at festivals, casinos, and relatively conventional venues all around the country, and they're currently touring in the midwest—upcoming dates include Crystal Lake, Bolingbrook, and Bloomington. There's clearly a demand for boy-band magic. At this very moment, people are losing their minds over a new Jonas Brothers song, "Sucker," which came out last week. It's been six years since the band released anything new—they broke up in 2013, with Nick going solo and Joe cofounding DNCE—but their fans have stayed as loyal as ever, graciously evolving with the group. Love for a boy band is often a lifelong commitment. Boy Band Review played Chicago's House of Blues on Valentine's Day this year, and a surprising number of the fans who came out to celebrate wore original boy-band concert T-shirts—surprising considering that some of those shirts had to be more than a decade old, and they usually hold up pretty poorly. I talked to concertgoers Erica Carlson, 28, Tracy Cunningham, 32, and Susan Braze, 33, who all say their childhoods fell during the prime boy-band era—their favorites include 'N Sync and 98 Degrees. "We're really thrilled that there's a dancing area here for when they come out," Carlson says. "Yeah, we need our space to do our moves," Cunningham adds, laughing. "We bond together with our boy bands," she says, gesturing at her friends. Boy Band Review follow the formula: four young, cute guys (currently Zachary Krugman, Vance Martinez, Lucas "Luca" DiCatta, and Jan Torres) singing simple pop songs about love equals swooning fans. The backing musicians are Bender, bassist Jordan Dismuke, and drummer Dave Long. ("He also has the longest hair in the band," says Bender. "He uses Pantene Pro-V.") The hypnotizingly charismatic Torres, 23, whose Instagram I've checked multiple times for purely professional reasons, fronts the group. Raised in his native Puerto Rico till he was six, Torres never expected to end up in this job—he'd had limited exposure to boy-band music before coming aboard. "I pretty much went in blind to this band and had to learn all the music," he says. He joined at 21, and he's now a total pro at moving his hips and and charming a crowd. Krugman, Martinez, and DiCatta are also in their early 20s—all four singers are younger than much of their audience. When fans comment on his age, Torres explains, they're really telling him about themselves. "When they say, 'Oh my gosh, you're too young,' I can probably put them above 30," he says. "When they say, 'Oh my gosh, you're so young,' they're probably under 30." As an adult, going to a concert exclusively to hear boy-band songs you listened to as a teenager feels like an exercise in ironic nostalgia—until it doesn't. "I Want It That Way" starts to play, and suddenly it's like the guys onstage are singing directly to you. That obsessive childlike fandom you thought you'd outgrown immediately floods back. At least everybody else here also remembers every word to Backstreet's cover of "No Diggity" and LFO's "Summer Girls." The heartwarming tale of a Christian boy band. No, seriously.